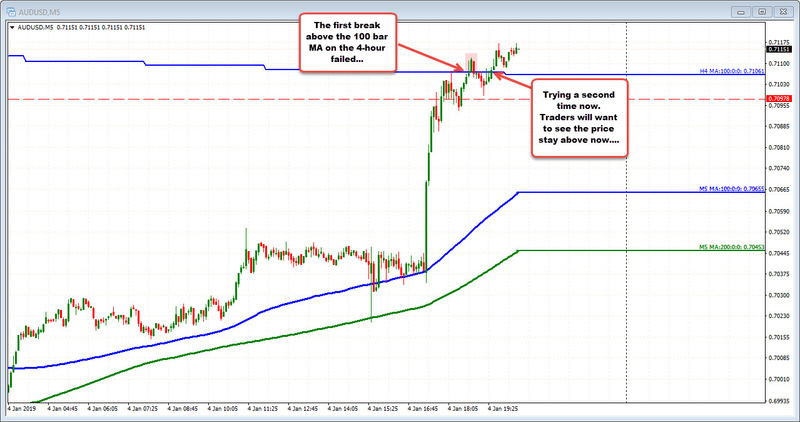 The AUDUSD moved sharply higher with the dollar selling today. 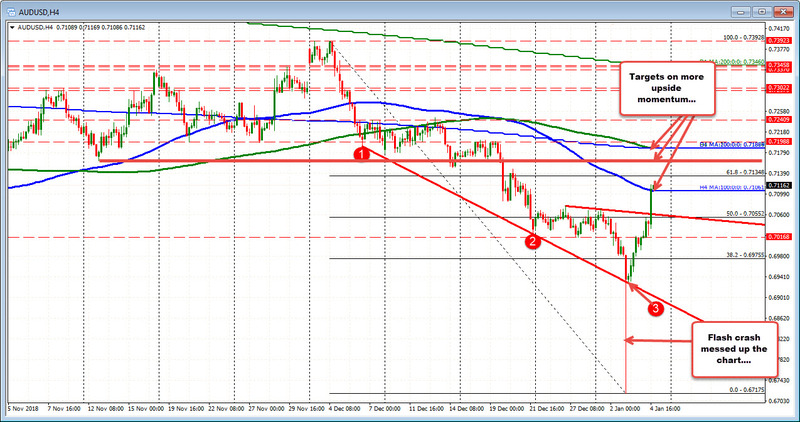 The price moved above it's 100 bar MA earlier by a few pips. Backed off, but is back above the MA level. Buyers are trying to give another bullish push. Below is the 4 hour chart. The flash crash made a mess of the chart but the price has been pushing higher since. The 0.7165 level would be the next target on more bullish momentum. Above that and the 100 and 200 day MAs are converged at 0.7188.